Walt Disney World is every parent’s dream family vacation– to see the magic on your childrens’ faces when they step inside the Magic Kingdom is the most wonderful feeling in the world. At first glance, a trip to Disney for your family may seem costly, overwhelming, and even out of reach. Read on for some great tips on how to make your trip financially possible and memorable! Book when your (youngest) child is just about three. There are two upsides to this tip—1) When kids approach 3 years old they have more stamina and can remember and relate to the Disney experience. Kids recognize their favorite characters, can enjoy the parades, shows, and they can ride on most of the rides…and 2) Children under three get free entry into Disney. You don’t have to pay for their admission, food or hotel, which saves you a lot of money. Find a hotel with great location. Location is definitely important when planning your Disney vacation. Some of the hotels require you to take a bus to every park, which can be time consuming and difficult for those of you planning on taking a stroller. The three hotels in walking distance of Epcot – Beach Club, Yacht Club and Boardwalk – are an excellent choice. My family stayed at the Beach Club on one of our trips to Disney and it was fantastic! 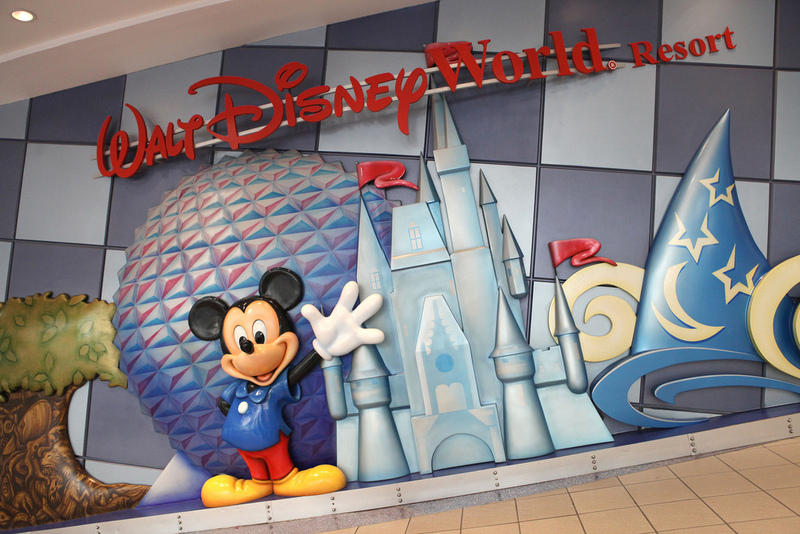 Besides the fact that they are beautiful facilities, these hotels are close to every park (walking distance of Epcot, a boat ride to Disney’s Hollywood Studios and a short bus ride to both Animal Kingdom and Magic Kingdom). You get the convenience of free transportation to all of the parks minus the price tag of staying on the monorail system! Bring a stroller. Even if your kids have been out of a stroller for years, bring one. They don’t cost extra to bring on to the airplane and everything in Disney is stroller-friendly. Within the park there is “stroller parking” everywhere for your convenience. And believe me, with all of the walking you’ll be doing your kids will need a break (and you too if you consider the alternative…carrying them). Purchase a meal plan. The dining plan that includes one sit down meal, one quick service meal and one snack is the perfect choice for you and your family. You won’t need to pack snacks and worry about bringing cash for other meals because this option includes plenty of food. The only thing you might want to pick up (and you may even have enough “snacks” not to worry about it) are water bottles. For example, if you have a quick service breakfast, you’ll get a large breakfast with coffee and juice, and then at lunch you could get a “snack” such as a soft pretzel and then use your sit down meal for dinner. The sit down meals are huge! They are very filling and include your meal, a dessert and drink. Book your “Character Meal” 180 days in advance. Character meals are a “must do” with young children. Kids get a chance to meet and greet their favorite characters and get their signatures in autograph books. There are many options for character breakfasts or dinners throughout the parks. The most popular is Chef Mickey which is a character dinner in Magic Kingdom. This requires two of your “sit down” dinners if you have a meal plan. Other options include things such as breakfast with Donald at Animal Kingdom’s Tusker House. This only takes one sit down meal and it’s a great buffet. Buy souvenirs before you leave. Go to a Disney Store near you before you leave for vacation. Buy your kids new T-Shirts, pajamas, an autograph book and a stuffed animal. You can definitely get more for your money at the Disney Store versus in Disney. Your kids will be excited to get a new gift while on vacation and you’ll be saving money! Include downtime in your plan. Young children will get very excited and have a blast in all of the parks, but if you push them too far, you will be dealing with a meltdown or tantrum. With this in mind, allot time for naps. Get kids up early and beat the crowds to the park, but when lunchtime hits and they are exhausted, don’t push them. Take a nap and then come back later. If you are going to Disney for more than 5 days, then take a day where you don’t go to the parks and let them sleep in, watch a show in the morning and spend some time playing with their new toys. Then spend the rest of the day at the pool. This will be a great break for your kids and you too, and then you’ll all be rejuvenated for another fun day at the parks! Take full advantage of the parent swap. If you have one child that is too short for a ride and one that isn’t, take the taller child with you to the ride and the ride attendant will give you a “parent swap” which is essentially a fast pass. The fast pass is for 3 people and you can use it whenever. If one of the parents doesn’t want to go on the ride but you have extended family with you on vacation, your older child can use it and ride again with grandma and grandpa. However you work it, be sure to take advantage of the parent swap. You will learn to love them! These are just a few Disney World tips coming from a mother who has recently been there with my two young children. If you would like more tips or have any questions be sure to comment—I’d love to help! Enjoy your vacation! Tara Chila, blogger for TSI, writes mostly about moving, business, house & home, kids, and parenting. Transit Systems specializes in a variety of long distance moving and shipping services including furniture shipping. I wasn’t big on Disneyland until my wife insisted on going for their Christmas season. I must say, it really felt like the most Magical Place on Earth when all the fake snow was coming down on us and the fireworks went off. To date, that was one of my most memorable experiences ever. I really love your tip on the 3 year age “sweet spot” to take your kids. I always wondered when it would be a reasonable age to take your children. “Furniture Shipper” I’m so glad you enjoyed it. I’ve never been to Disneyland myself, but I’ve spend many days at Disneyworld in Orlando and I always enjoy the trip. I took my youngest when she was 3 WEEKS old. (She of course doesn’t remember it, but we had annual passes and the others were chomping at the bit!) Thanks for taking the time to leave a comment!